I am going to need a seeder soon. The weather is perfect for setting a good foundation. I can't wait to get back out there and start planting my grains, and then comes the next harvest. Funny, we share the same name, and the same desire to capture images, and love to capture images in twilight. Good Job! 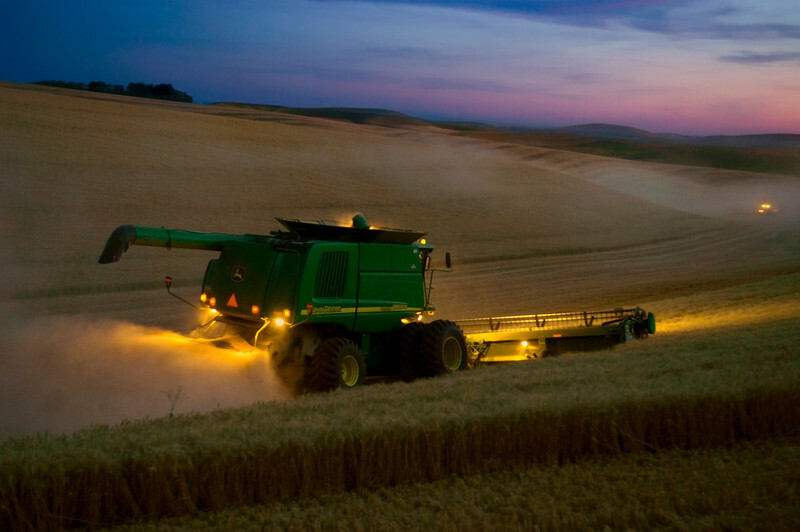 This is my favorite of the combine pics. At first, I thought the combine was on fire !!! Great photography, best brand of equipment, too !! I love photos like this, dusk is the best time of day for photos. truly amazing shot . . . . just fantastic!!! !